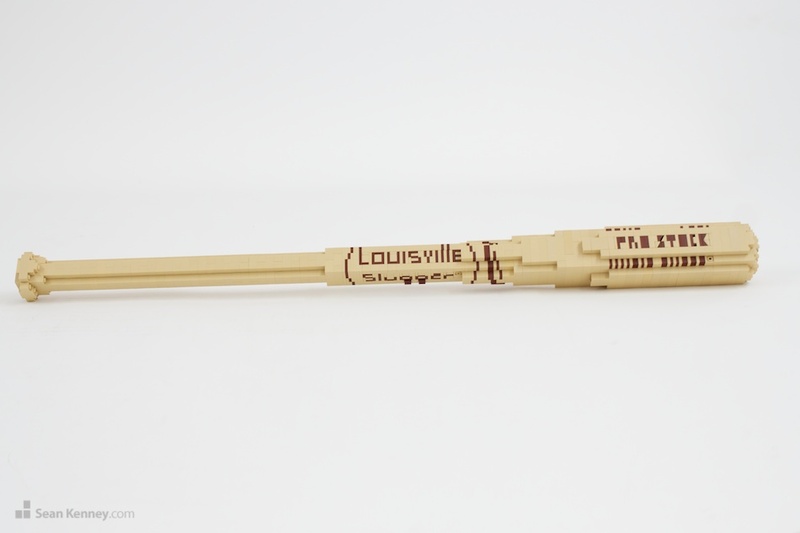 This life-size bat is over 3 feet long and built with over 1,600 LEGO pieces; inset lettering mirrors the logo and text present on the classic Louisville Slugger bat. It's part of my touring exhibit, Big Leagues Little Bricks, celebrating the beauty and lore of baseball as a part of Americana. The show is on display at the Louisville Slugger Museum now through September 2013.